*NEWS* Cup Final Friday 4th May 8.15pm. League Table - 2011- 2012. Landscape or Portrait view. Updated when required, to feature seasonal changes to your advertising. 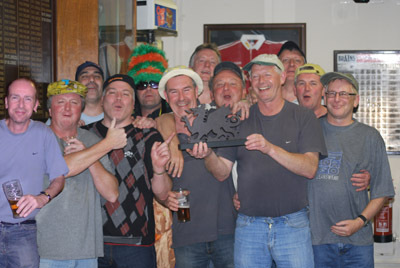 The Plough Cubs celebrate with the Dragon trophy at Llandaff North R.F.C. after winning a three way play-off on May 5th.